“Agriturismo” is a word that combines “agriculture” and “tourism.” Located in the beautiful countryside near Siena, these working farms are situated amid olive trees, grape vines and/or fields of sunflowers. 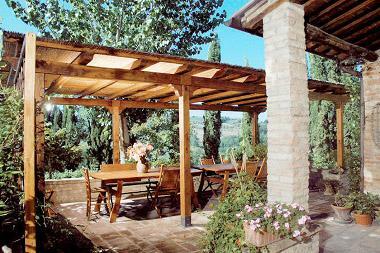 Many agriturismo facilities are family-run and cultivate their own products or produce their own label wine. Guest rooms are often decorated in a Tuscan “country style” and are quite comfortable. There is sometimes a restaurant and/or swimming pool in the complex. These accommodations are great for families with a car. Prices vary depending on services offered, location and season.